This is a list of the plating, finishing, and other services we regularly provide. We also do specialty and custom jobs. If you do not find your process on our list, please contact our Sales Department (814)-453-7531 or request a quote with specific information about your project. 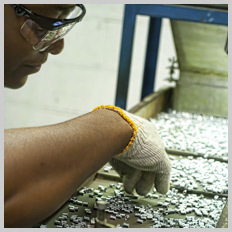 We'd like the opportunity to put our 90-plus years of expertise in anodizing, plating, and polishing to work for you. You can browse this list alphabetically. You can also search for your process by substrate metal, finish name, finishing effect, or any combination of the three. Just enter the item or items you are searching for in the boxes below and hit the "apply" button. You can also browse by specification.